Hi, Guys, I know this topic is not powerful but simply we have must know about simple that what's happening behind web pages in the internet world. So Today I tell you about What is HTML & Uses of HTML. The word “hypertext” is a type of text that contains hyperlinks (or just links for short), which enable the reader to jump from one hypertext page to another. Hypertext gives readers the ability to choose their own path through the material that interests them. A book is designed to be read in sequence: Page 2 follows page 1, and so on. Sure, you can skip around, but books don’t provide much help, beyond including an index. Computer-based hypertext let readers jump around all they want. such as index cards or pieces of paper. The jumping around from one page to another on the Web—it’s called “Surfing”. What is Hypertext Markup Language(Html)? HTML is a language for describing how pages of text, graphics, and other information are organized and linked together. HTML and HTTP were both invented by Tim Berners -Lee. to mean to it. 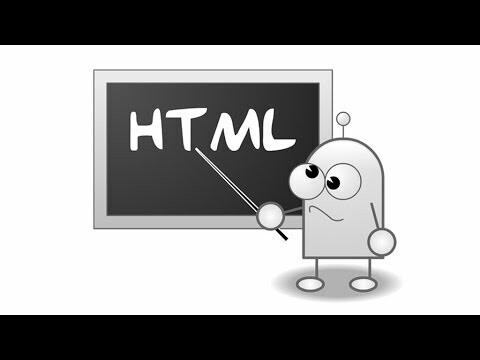 The HTML consists of Elements tags, attributes, and values.